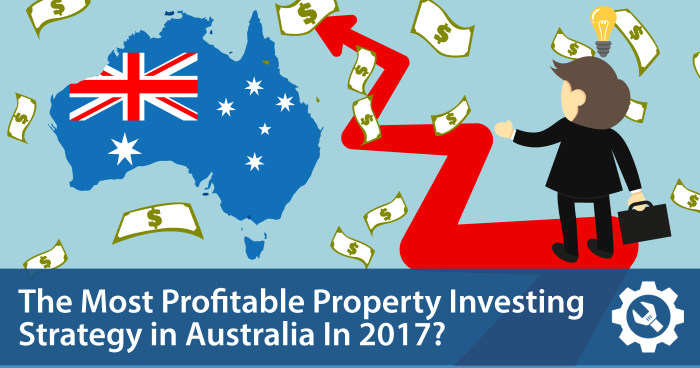 Subdivision—or purchasing one block of land and turning it into two or more individual blocks—is one of the most popular and profitable property investing strategies in Australia. Subdivision allows property investors to essentially create a free block of land and can provide an easy, low-risk opportunity for building wealth, equity and capital gain, especially if you are able to retain and renovate the original home on the property. In order to fully benefit from subdivision, property investors must carefully select properties, maximize development opportunities and pay attention to complicated zoning regulations. Without the right knowledge, it can be challenging for property investors to execute a favorable deal, create a development plan and avoid common pitfalls. Blocks of land available for subdivision, can be divided into one or more individual blocks. In some cases, generally in WA and Qld, there is a variation of this called ‘Splitter Blocks’ which is two lots registered on one title. In the case of a splitter block, a subdivision generally isn’t required given the lots are already separated and the registration is all that is changed. The first is often referred to as a build-behind, battleaxe or hammerhead (depending on which state you are in) and involves creating a front and rear lot. This is usually accomplished by building a driveway down one side of the property and typically works well when there is an existing home on the property that is suitable for renovation. The second method involves demolishing the existing home on the property, splitting the lot into two blocks along the street frontage which provides the opportunity to build new residences on each block. David Hall, buyer’s agent for Momentum Wealth, said that he is always looking at subdivisions as a part of his overall property investing strategy. He specialises in assisting clients with subdivisions in Western Australia. I love subdivisions because regardless of whether the market is rising, falling or flat, the correct purchase of a potential subdivision will always allow for good capital gains… If you buy well, you will always make money,” Hall said. Buying below market value. Hall said that by buying below market value, he ensures that he is able to sell the property for at least what he paid if things go wrong. An “ugly duckling.” Buying a property that needs significant renovation can ensure that there is little competition and the opportunity to get a good deal. Close proximity to public transportation. Due to lack of adequate parking near train stations and commuter bus routes, Hall said that purchasing properties within walking distance of public transportation is attractive to future renters and/or buyers. Close proximity to the beach or the freeway. Close proximity to the beach offers lifestyle appeal, while close proximity to the freeway provides convenient access for commuters, Hall said. Can be subdivided, now or in the near future. Due to recent directives, Hall said that each council must achieve a targeted amount of infill, which is creating numerous properties that are available for subdivision. In a flat market, buyers are often desperate to sell, giving prospective buyers the upper hand. The best time to buy is at the bottom of the market, when fear of buying and urgency to sell are rampant. Hall said he has picked up subdivision sites when the market bottoms out that have yielded 20 percent returns on capital invested. The only time Hall said that he would not be buying is at the peak of the market. But, during this time he would look for markets that are starting to swing up. And, he would also have his properties revalued so he can use the equity to kick start his next project. Hall said that adding a “granny flat,” or a small additional building in the backyard of an existing home, is an easy way to increase the value. Although granny flats are subject to some rules, they generally have a 15-20 percent return on investment and can be used as a rental property. They also can easily push a subdivided property into positive gearing. Subdivision Strategy #2: Renovating the existing home. By renovating the existing home on the property, you are leveraging an existing resource to generate additional equity and capital gain. For example, after observing a demand for two-bathroom homes, Hall decided to add a bathroom to a three-bedroom, one-bath home. To keep costs down, he used a prefabricated bathroom with no roof, called a pod, and bolted it to the side of the house for a total cost of about $10,000. After putting a roof on the bathroom, he added an additional $40,000 to $50,000 of capital to the house. Although adding a pod bathroom or kitchen can require council approval, it is a great strategy to increase the value of a home without spending a lot of money. Subdivision Strategy #3: Use a buyer’s agent. Buyer’s agents can help you to see opportunities where others don’t,” said Hall. He cited an example in which one of his clients wanted to purchase a property that could be subdivided. The buyer wanted to retain the existing home and build one additional property on the back of the lot. Hall realised that there was almost enough space to allow his client to build two additional properties on the back of the block, and asked a town planner to investigate further. Since the block was adjacent to a park, the local council allowed the buyer to purchase 16 square meters of land from the park. Because of this creative thinking, the client was able to take the project from a single build-behind to a dual build-behind, which earned them an extra $125,000 to $150,000. Buyer’s agents also are well-versed in the zoning requirements of each individual council, including setbacks, building envelopes and minimum requirements for lot sizes. Having access to this knowledge can prevent you from making disastrous mistakes, such as overpaying for a property that was advertised incorrectly and can’t be subdivided under current zoning regulations. Hall said that his ideal strategy is to look for a large corner block that is between 800 and 900 square meters and has an existing home that can be renovated. In this case, he would split the lot into individual, 400-square-meter lots. He would retain and renovate the existing house on the first lot, adding a two-bedroom, one-bathroom granny flat. Then, he would construct a three-bedroom, two-bathroom home with a two-bedroom, one-bathroom granny flat on the second lot. Hall said that he financed his first subdivision using the equity from his family home. After that, he borrowed against capital from his successful subdivision and capital gain from the renovations to finance his next deal. Banks are mostly after a deposit (how much you can put down) and serviceability (how you can pay debt), Hall said. He said that he often brings on joint venture partners to sign up with the bank on the serviceability side, while he brings a deposit or a percentage of the deposit. He also said that he uses simple joint venture agreements, stating that anyone can sell and partners have the first right to buy. If they do not exercise their option to buy, the property is sold, he said. When selecting joint venture partners for subdivisions, I look for people who are not risk-averse, who are hard-working and who are willing to get their hands dirty,” Hall said. And, if a partner doesn’t have the money to get into a property, he will consider partners who can do work for a percentage share of the return. Hall said that buyers should also be careful to make an accurate projection of how long renovations could take and structure the deal accordingly. You have to plan out your deal looking at the big picture before you start,” Hall said. One of the keys to a successful subdivision is assembling a team of qualified professionals who can provide you with the information you need to make a great deal—and avoid getting burned, Hall said. The DIY Subdivision Kit, which provides everything you need to know about subdivisions in one convenient place. 12-Step Subdivision Flowchart, which guides investors through the subdivision process from start to finish. 9-to-5 Property Investor Action Plan, which will help you to take the first step toward completing your own profitable subdivision. “How A Postie Made $50K in His First Subdivision and Within 18 Months Made a Six-Figure Income … and How You Can, Too!” Webinar, which details Matt’s journey to financial freedom by investing in subdivisions. I do like that you go over some techniques to help you find the right property if you’re planning subdivision development. After all, you will want to make sure that you can get the most out of your purchase. It is especially great that you recommend buying below market value so that you can spruce it up and sell it for more later.